LAS VEGAS, APRIL 19, 2012 — RTW (C1844), a leading manufacturer and distributor of professional audio metering and control devices for studio recording and radio and TV broadcast applications, and Calrec Audio, LTD (C1746), manufacturer of high-quality audio products, are jointly announcing at the 2012 NAB Show that the RTW TM7 TouchMonitor will be fully integrated into Calrec’s line of digital audio consoles. As a result of this partnership, RTW will provide the OEM version of the TM7 TouchMonitor touch screen loudness meter to be built into Calrec’s full range of digital consoles, including the Apollo, Artemis Shine, Artemis Beam and Artemis Light consoles. The TM7 will be integrated into the upstand of the consoles, providing various metering options. 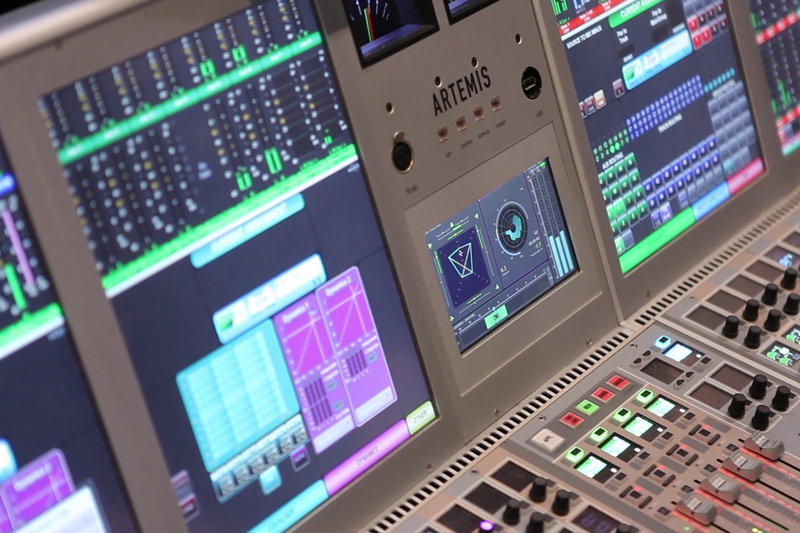 For example, on the Artemis consoles, both single and double meters layouts are available. The benefit of the double meter option (one above the other) is to show moving coil emulation along with a separate vector scope. "We are delighted to have reached this agreement with RTW,” says Henry Goodman, head of sales, Calrec Audio. “We have enjoyed a good relationship with RTW for many years, and this agreement enables us to continue to provide our customers with the right tools to meet the highest standards of broadcasting, as well as the ability to comply with new broadcast regulations. "Given the lack of availability of traditional moving coil meters, and the demand which still exists, the TM7 also allows us to continue to provide our customers with the facilities they expect in professional broadcast facilities. We look forward to many more years of enterprise between our two companies." The TM7 will include the standard Multichannel, Loudness, SSA Surround Sound Analyzer and PPM software modules and custom meter presets offering loudness metering that meets the EBU R 128 and ITU BS1770 standards as well as traditional bargraph- and moving-needle metering to comply with additional international standards. The TM7 will also be available for retrofitting. RTW’s entire TouchMonitor family of loudness metering products will be on display during the 2012 NAB show at the company’s booth (C1844). Executives from RTW will also be on-hand to discuss this new partnership with Calrec. About Calrec Audio, LTD. Calrec Audio, part of D&M Holdings Inc., is exclusively dedicated to excellence in audio mixing for on-air and live production. 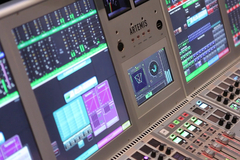 A broadcast specialist for more than 40 years, Calrec has developed a range of digital and analog consoles relied on by the world’s most successful broadcasters. For putting sound in the picture, broadcasters put their trust in Calrec. More information is available at www.calrec.com. About RTW RTW, based in Cologne (Germany), has more than 40 years of experience in designing, producing, and marketing advanced audio technology for professionals. The company's core competence is based on tools for visual signal analysis and loudness metering that is in use in the leading recording studios as well as by radio and TV broadcasters worldwide. The current product portfolio includes, among others, the TouchMonitor range (TM3,TM7,TM9) combining highest flexibility and modularity with an intuitive user interface and touchscreen-based multichannel-analysis, and the SurroundControl series (11900, 31900, 31960) with a full set of comprehensive features for monitoring, controlling and distribution of Stereo, Multichannel and Surround signals. Both products integrate exceptional surround-signal visualization using the unique and groundbreaking Surround Sound Analyzer. In June 2008, RTW was certified for the internationally accepted DIN EN ISO 9001:2000 quality-management standard.